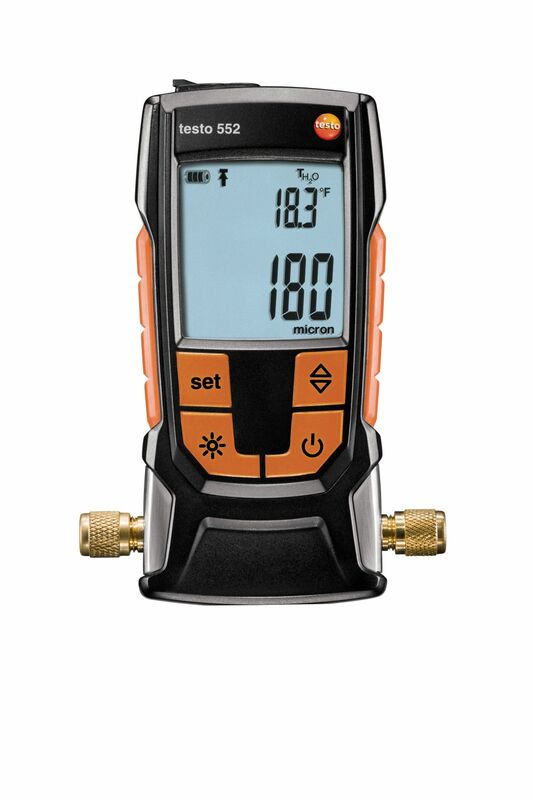 Purchasing the testo 570-1 refrigeration manifold ideally equips you to carry out quick, reliable measurements on refrigeration systems and heat pumps along with temperature-compensated tightness tests. Moreover, it calculates superheating and subcooling simultaneously. For refrigeration systems and heat pumps to function smoothly and efficiently, the pressure, temperatures and any system superheating or subcooling need to be monitored. 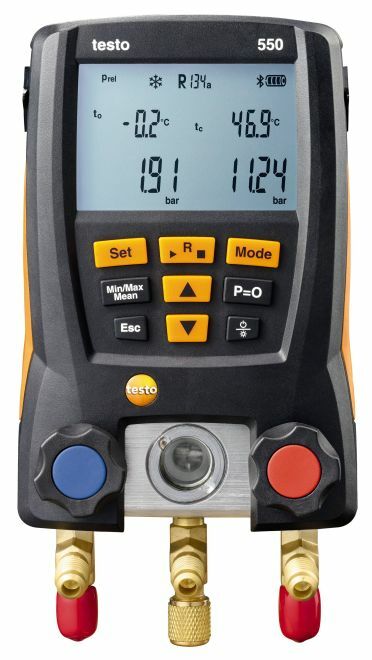 The testo 570-1 refrigeration manifold can record or calculate all these values and also enable temperature-compensated tightness testing. Which is why our 4-way refrigeration manifold supplies you with the key information that you need for the optimum commissioning and maintenance of refrigeration systems or for error diagnosis. Complex manual comparisons and calculations (e.g. of superheating and subcooling), which would be necessary when using analog manifolds, are not needed. 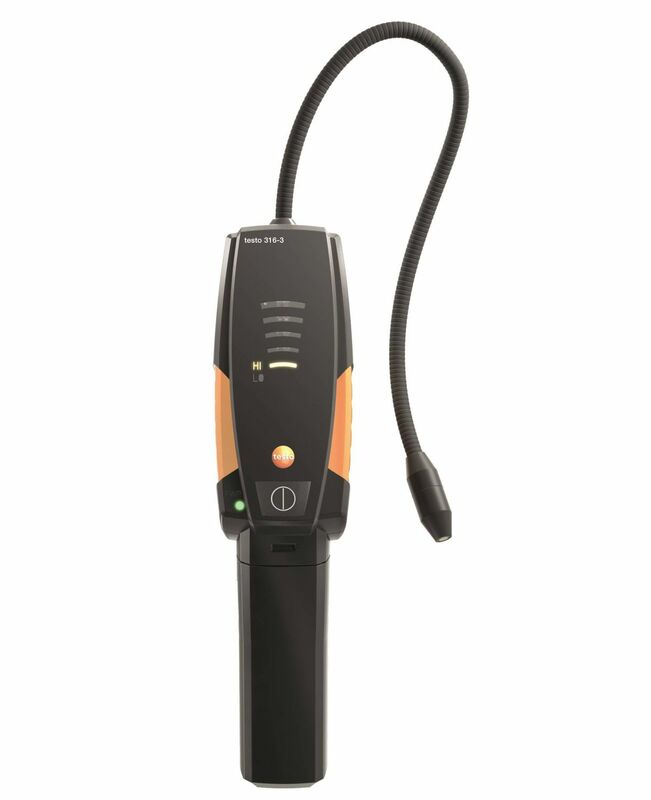 Together with the testo 570-1 refrigeration manifold, you also get a clamp temperature probe. Simply clamped to the pipe, this reliably measures the surface temperature. Our probes range also includes attachable probes for measuring temperature, current or oil pressure. 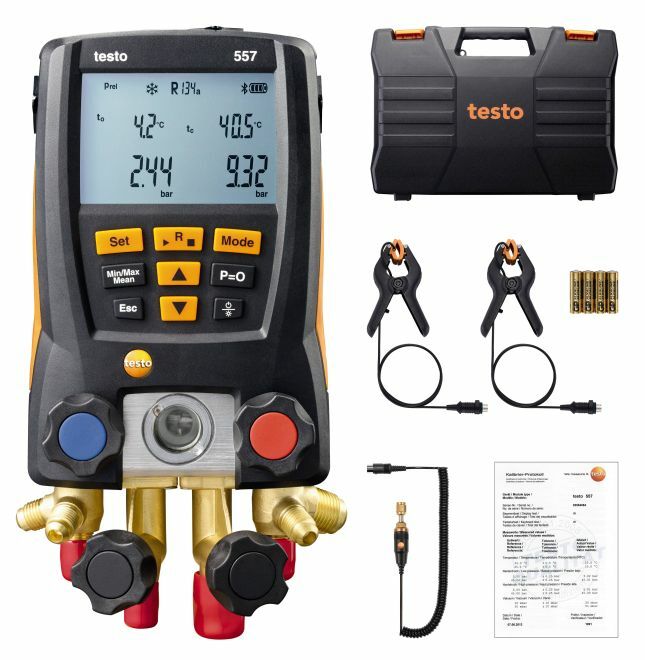 The testo 570-1 refrigeration manifold is suitable for practical use, largely thanks to its robust 4-way valve block with 4 connections, 4 hose parkers and its inspection glass. Maintenance and servicing tasks on refrigeration systems and heat pumps are made easier due to the manageability of the instrument. With its solid housing, the refrigeration manifold is protected against impacts. A suspension hook on the back secures the instrument during the measurement. In addition, the manifold has a large, illuminated display, so you will have no problem reading off the readings, even in a dark environment. Recommendation: if you would like to have a key accessory to hand, you can purchase the refrigeration manifold testo 570-2 Set. This manifold set contains a second clamp temperature probe, the “EasyKool” software, a USB cable, a mains unit and a transport case. 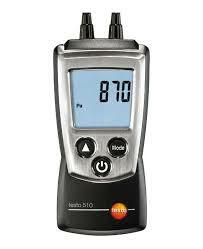 testo 570-1 digital 4-way manifold set including a clamp temperature probe, calibration protocol and batteries. Pressure media CFC; HFC; N; H?O; CO? You can save measurements directly in the instrument using the integrated data memory and then analyse, further process and document them later via the EasyKool software. You can carry out evacuations quickly and safely with the integrated vacuum measurement and no additional measuring instruments are needed. For measurements on more complex systems with the testo 570, you can get a direct graphic display of the measuring values with a laptop and the EasyKool software. This online measurement means you very quickly find the causes of faults and can remedy them. Testo now offers over 80 different refrigerants for digital manifolds. 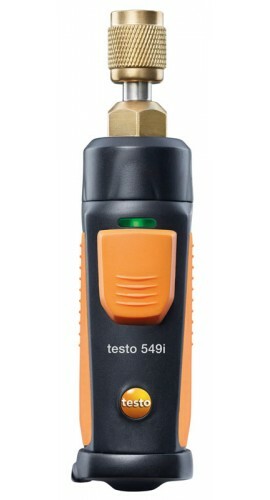 With the testo 570, you can quickly import the latest refrigerant yourself via the EasyKool software. 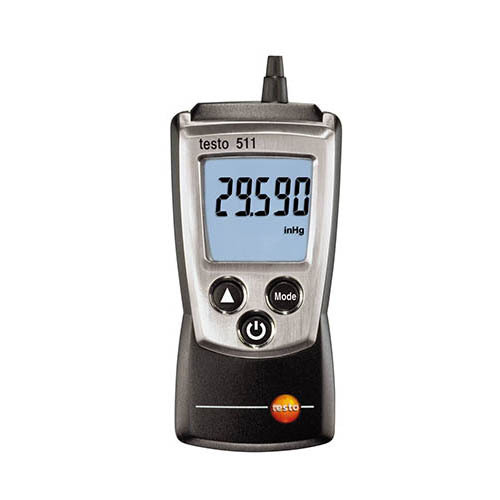 The testo 570 automatically calculates superheating and subcooling of the system using up to 3 temperature probes which can be connected at the same time. 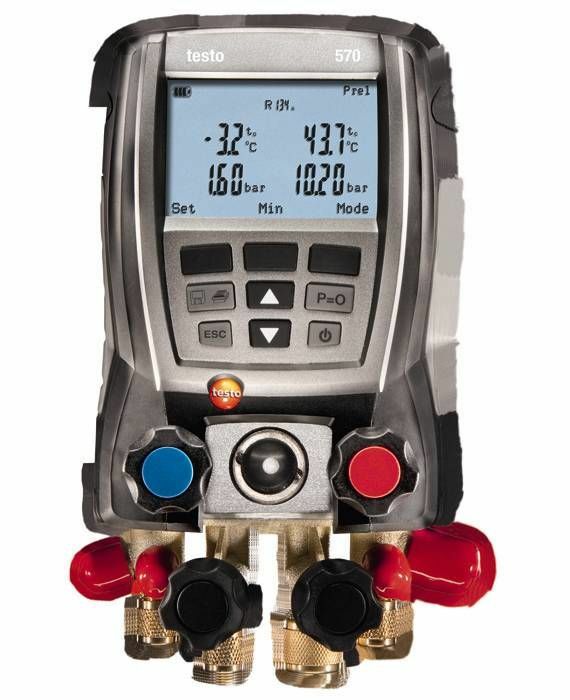 Ambient temperature or flue gas temperature can also be checked with the third connectable probe. 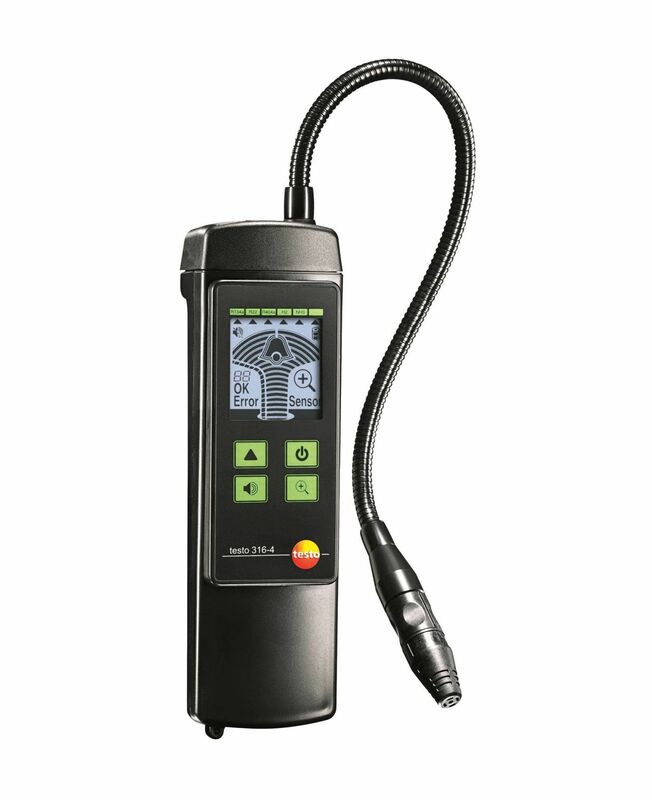 The testo 570 can carry out a temperature-compensated leakage test of the system for rough tightness testing. To do this, the system pressure at the start of the measurement is compared with the one at the end and any difference there may be is displayed directly.